Steve Jobs has died and it has been three years but his legacy will forever live on. He has changed the world that we live in and he has changed the way I spend my day and the way that my 75 year old aunt spends her day. It is very rare that a human being will be lucky enough to touch the lives of millions and millions of people. His Standford commencement address lives with me. It makes me wonder how to better live my life. I feel the faintest slither of pride that this man shares my home country Syria. Even though I despise his father, probably as much as he did, one cannot deny that Syria is where he hailed from. But it also makes me wonder, if his success had anything to do with his origin and the life that he lived as a child. It probably has everything to do with that. Some people say we are a by product of our circumstances. Others say we are a byproduct of our choices. I say we are a byproduct of both. But which one takes a higher rank? It is a complicated equation. We are bound to figure it out one day. The Entrepreneurial State: Rethinking Risks and Rewards in Innovation is a talk that was given at the ARPA-E* Energy Innovation Summit 2014 by Dr. Mariana Mazzucato – an economist and a RM Phillips Chair in Science and Technology at the University of Sussex. Named by the New Republic as one of the three most important thinkers about innovation, her research focuses on the relationship between financial markets, innovation and economic growth at the company, industry and national level. An intriguing, thought-provoking and grounds-shaking talk, no wonder Forbes described her work as “heretical” to everything that Forbes stood for for the last 96 years! Dr. Mazzucato opens up the keynote by asking: What do economists have to stay about organizations like ARPA-E (public sector, yet dynamic and innovative, creative)? The answer was that they had very little to say about such a public sector organization. Describing ARPA-E as decentralized yet active in innovation and very visible, Dr. Mazzucato continues, “… these organizations are very important and if we don’t understand them they really risk disappearing”. The standard framework has been that the role of the state in the economy is to: A)Set ‘level’ playing field then get out of the way and B)Solve market ‘failure’. Throughout the talk, Muzzocato gives evidence that there is more to the role of the state than that and proposes ways that this role can be further strengthened. Muzzocato debates a quote by the Economist where the government is asked to get out of the way and “leave the rest to the revolutionaries”. She argues that most revolutionary creations actually come from the public sector working with the private sector. Not to diminish the role of the private sector but it is the role of the public sector about which we do not talk enough. This will lead to problems when we want to set partnerships that are symbiotic as opposed to the current ecosystem that she describes as “parasitic”. In IT revolution there were private sector companies like Xerox parc and Bell labs and other innovative companies working with public sector. Why a smart phone is smart not stupid? Because you can surf the Internet, use GPS to identify location, use touch screen, Siri for voice activated personal assistance. Many of these were project funded by government agencies. Throughout her talk, Muzzocato uses the word ‘state’. So, what does ‘state’ mean? Muzzocato gave the definition as the de-centralized networked state through agencies like ARPA-E, DARPA, NIH.. etc. and other public sector organizations that have been very active in the US innovation economy. She goes on to explain that the reason she calls it the entrepreneurial state is because if you look at the meaning of the word entrepreneurship, it is not just setting up a company “but willingness and commitment to take on real uncertainty and real risk”. Muzzocato gave examples of projects that had high risk and required high funding that were supported by the public sector from the initial research to the commercialization of the product like Tesla and Solyndra. What you need to be innovative is…. Private finance has become increasingly short-termist. Innovation takes 15-20 years whereas VC industry wants returns in 3-5 years. All the attention is on the exit. Patient long term committed finance is what is needed to be innovative. Another important thing is that you have to reinvest your shares in areas like R&D and human capital. The two sectors where companies do most buybacks are energy and pharmaceutical because they say there are no opportunities for investment. Even Apple is starting to do Share buyback – Steve Jobs would be turning in his grave! Where does wealth come from in the first place? When we have big technological innovations, some agents have been able to extract more than they have put in. This leads to inequality and lack middle class jobs, among other things. Growth requires inclusive innovative funding. For that, Muzzocato proposes some ways to encourage this inclusive innovative funding like IPR Golden Share, retaining some equity to fund the losses or to fund the next round or even have a percentage payback into an “innovation fund”. This will allow inclusive growth in jobs, talent and even the public school system! Don’t just socialize the risks, socialize also the rewards! Great poem by Mahmoud Darwish. Insightful into our constant dissatisfaction wiht the present. What makes you happy? Mahmoud Darwish is a Palestine poet. I will not spend my time explaining who he is because he does not need introductions (غني عن التعريف). My passion towards the Arabic language is one I cannot foster well because of a weakness from me. I started writing poetry in English at the age of 11, yet wrote only a few Arabic ones (that don’t really register as poems) in my late 16s. My post is not about my Arabic, or Darwish, or my early adolescent years. It is about this poem. I roughly translated the poem so non-arabic speakers (if any) reading this blog understand the context. However, the English translation does not do it justice, for it is far too beautiful in Arabic to ever reach that level of profoundness in any other language. The climb is going to be 26 Dec – 2 Jan 2015. The summit day is going to be on 1.1.2015 which is a great way to start the year! Check the site for information about the cause, the fundraising and the tour company. In the wise words of Jon Stewart “The world has gone mad”. Let’s bring sanity back: help someone, stand for a cause, do something today ! have been fortunate to have had the opportunity to visit many countries from Europe to the Americas to the Middle East to Asia to little islands in the middle of the Indian Ocean. I have seen many different cultures and interacted with people of all backgrounds. However, out of all this travel, two of my dearest trips are volunteer trips. I have had the chance to volunteer in Nepal and in Indonesia. Both of these trips were done with Reach Out To Asia (ROTA), a not-for-profit organization based in Doha, Qatar where I currently live. My trips to Nepal and Indonesia were both to support schools in rural areas of these two countries. Each trip was ten days long where we worked every day for the full school day. We would teach classes on the topics requested by the school (English, Music, Computer Skills, Environment, Sports, Cultural Exchange). In Nepal, we also set up a computer lab of four computer donated by one of the ROTA sponsors. It was very gratifying to see the look of satisfaction and pride on their faces when they typed their names for the first time using a computer keyboard! The class congregated around the table where we opened up one computer case to show them the internal parts and explain the function of each part. Our approach was to include less theory and more interactive two-way learning. We would bring with us maps and globes and would show the students the countries of our nationalities, and the counties that we live in (could be different). Their cute little faces will light up in a smile of surprise when we tell them that we got on a plane for 9 or more hours to come see them. Our objective was to show these children/students a glimpse from the world beyond their little village, to demonstrate how we as human beings have more similarities than differences, and plant a seed in their minds that what they dream they can reach. Be Flexible: To enjoy the trip be flexible in your expectation. Do not expect that you will live the same quality of life that you are used to. Take this as an opportunity to discover and live a new experience. Take it all in and appreciate that there are people who live this type of life on daily basis. Equally true, appreciate that there are people who wish they could be in your place having the same experience and this would always be me! This post was published in the Grow Hope blog. A blog for Raintees, a sustainable and eco-friendly business that plants trees and donates school supplies to children for every product sold! Read more about Raintees here. Today is International Women’s Day. What does that mean to you? In a world where women are still considered a second class citizen and need a day in the year to be recognized, this day does not mean much to me. It is only a reminder for us women that we still have lots of work to do to get our rights. I am a proud feminist but I’m also a cynical feminist. I have been this way since I was a little girl. I always wondered why do Women need to have a day and not Men! It’s easy now…. it is a consolation prize. It is basically just to say sorry for all the crap that you have to deal with. Sorry for the discrimination at work, the objectification in the media, the unequal pay, the unequal opportunity, the domestic abuse, the violence, the sexual harassment and sexual assault. Just think about it, how what women have to go through compared to men to start a family, a business, to get to leadership role. And if we do, we would be a minority and will still be treated as such. It may be true that this has to do with our genes, the chemical in our brains and overall how we are wired. But it does not deny the fact that this world favors men over women, or that men have owned the magic wand for too long. I am writing all of this and I honestly do not have an answer to this dilemma. But just think about the environment in the workplace as an example of what women face in the world. What makes things worse is when women turn against each other instead of being a aid to each other. I feel like I am getting lost in my thoughts. There is a poem that I absolutely love. It is called “If I should have a daughter”. It sums things up. Here it is … Enjoy! 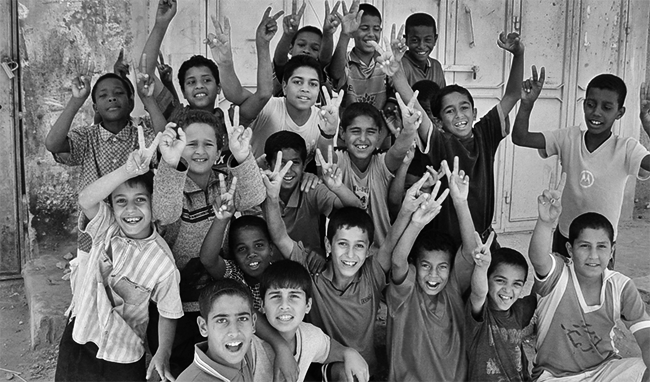 The Palestinian Children Relief Fund (PCRF) is an noble organization working for a noble cause. Think of the innocent bystander of any war or conflict and you will immediately think of children. The PCRF, working through its many chapters throughout the US and the Arab world, takes critical cases of children injured in war zones and provides medical care. Due to the time of recovery of the injured children, many miss months and years of school. Their only hope for an independent future is education, as many suffer permanent injuries, like amputations. The PCRF is now taking on their noble cause one step further by setting up a fund to provide special tutoring for children who have been injured to get them back into school and to ensure that they do not incur compound losses in their health and also their education. If you would like to contribute or start a funding campaign, here is the link. Make sore to re-tweet, re-post and spread the word. For the children who are hungry for learning!